This will be a gorgeous ensemble. Love, love, love that print. 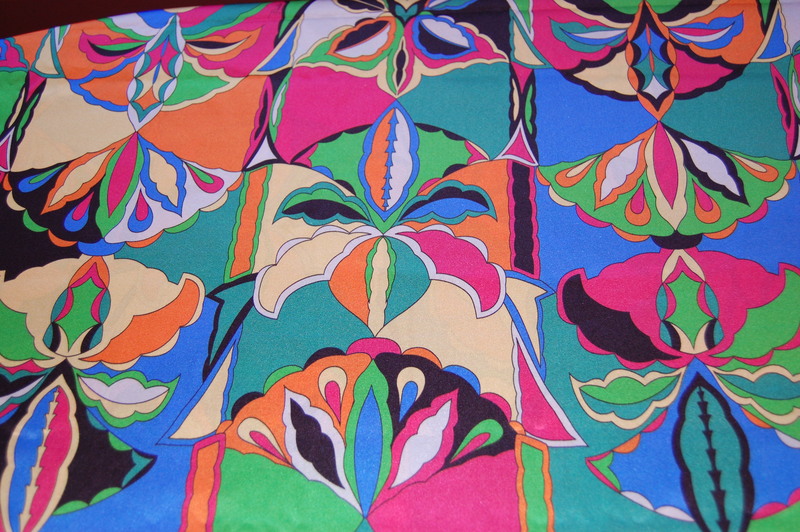 A bit of Pucci brightens up the day! I’m really curious about your next post, hope it all worked out! 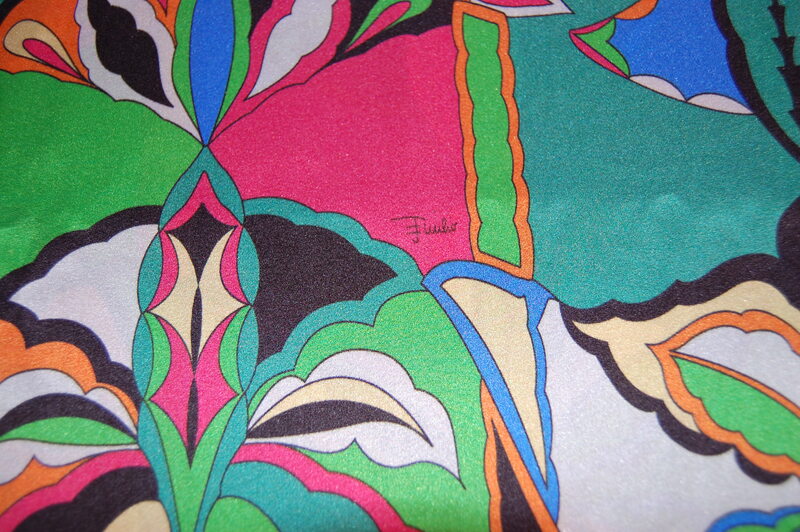 I agree that a Pucci print definitely brightens up the day – and makes good transition sewing from Winter into Spring! 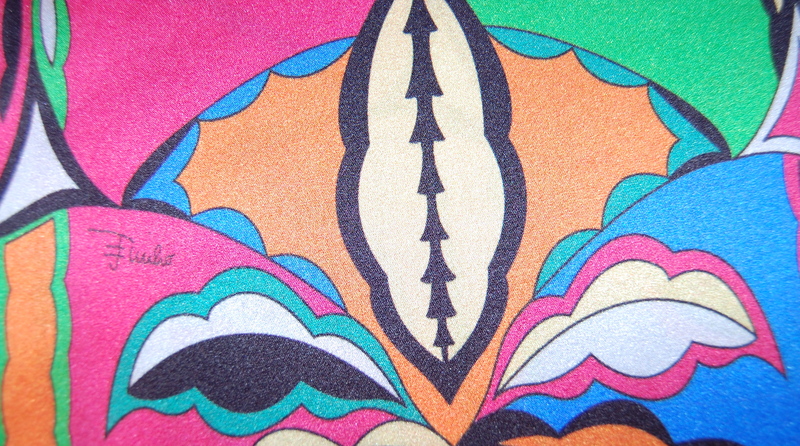 Oh, WOW, what a classic Pucci print! I do hope you had enough for the lining. And thanks for the mention and the link. Oh, you’re welcome, Lizzie! 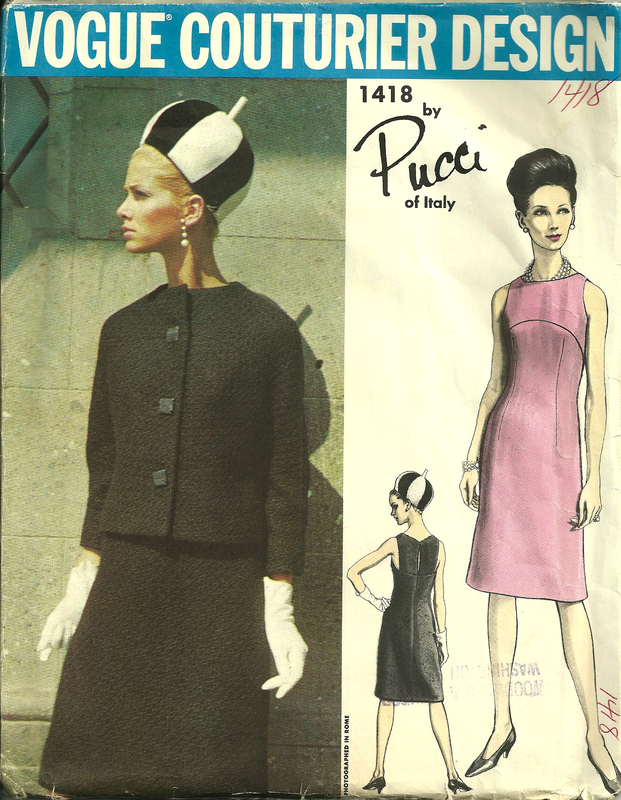 Pucci had a fascinating career which is worth reading about. I am so, so envious!! What are you starting with Susan this time? Something gorgeous, I’m sure! Of course, there was not enough fabric, but you figured out a way. I eagerly await the next post, as I cannot imagine what you did! 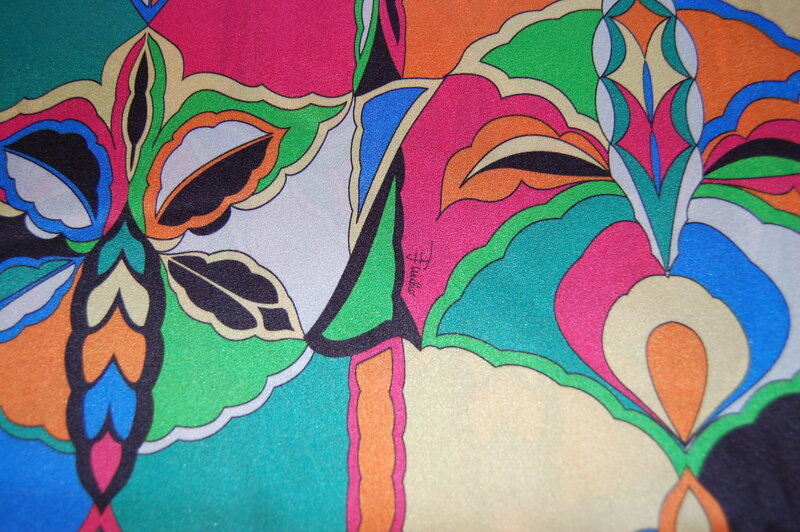 Congratulations on recognizing that great Pucci silk print! Please forgive me for offering some unsolicited advice: (speaking as a retired design teacher) I’d encourage you to think hard about a way to relate the matte black jacket to the silk dress, if you are planning to wear them as an outfit. (Sadly, the lining won’t show when the jacket is buttoned, so the dress and jacket won’t look obviously “made for each other,” even though they are!) That’s a very strong value & fabric contrast, and may appear to “cut you in half” at the jacket hem. Your work is so meticulous that I really admire you. As you did when putting a “mock up” of your camel and navy jacket on a mannequin, it’s always good to have a clear idea of what the final result will look like before you get too far into a project. If the idea of “drawing” makes you nervous — it’s OK to trace! 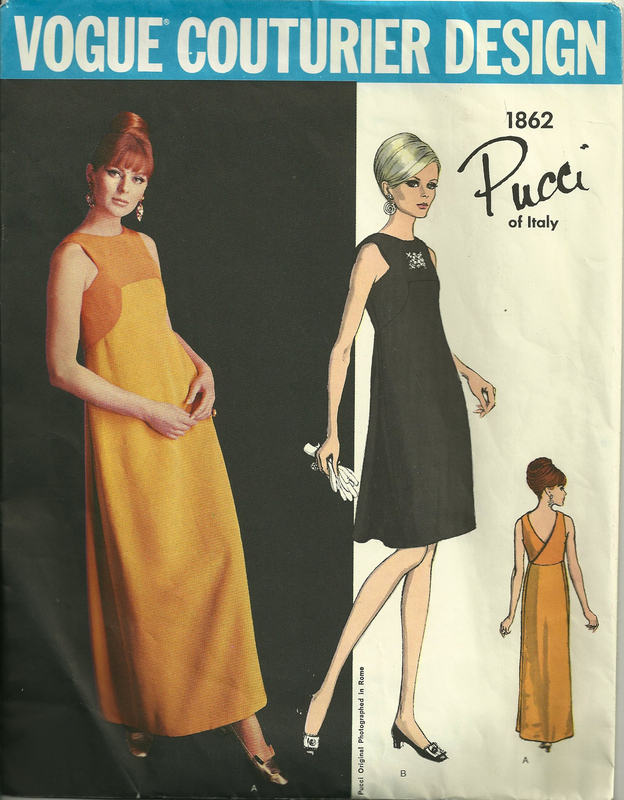 I’m sure your dress will be terrific & do Pucci proud! Thank you very much for your thoughtful comment. I had actually already had some of this conversation with myself about relating the jacket and the dress. I “auditioned” other colors (pink, blue, bright green, even pale yellow) with the Pucci print, to determine what would be most complimentary. None of them produced the same punch as black. 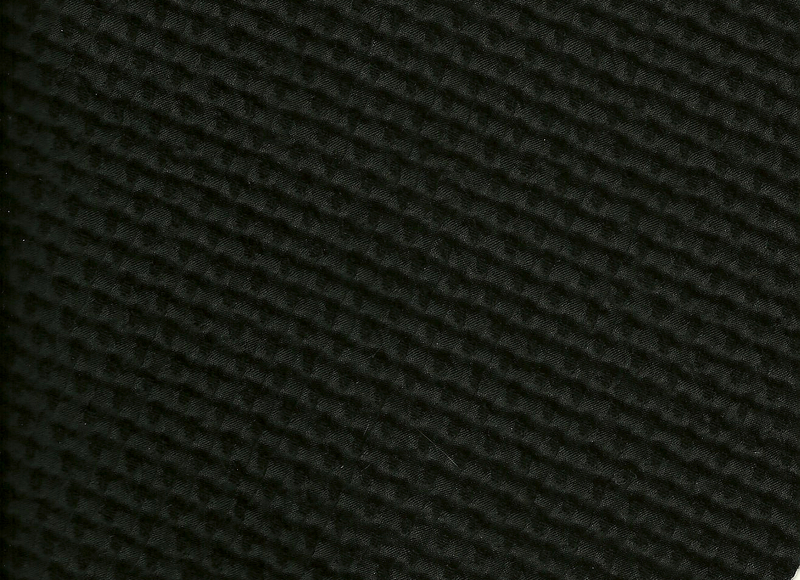 The black fabric I chose is actually not a matte, although it may appear that way in the photo. It has a sheen and a fluidity to it that gives it a very dressy appearance. If I hadn’t seen its fabric composition on the tag on the bolt, I would think it was silk, not a wool/cotton combo. Although I didn’t draw a picture for myself (I have done this before, and it’s a great tip! ), I am somewhat good at visualizing – and have given this a lot of mental time! Further progress on this outfit will hopefully show it to be an outfit – and not separates just worn together… Again – thank so much for commenting! 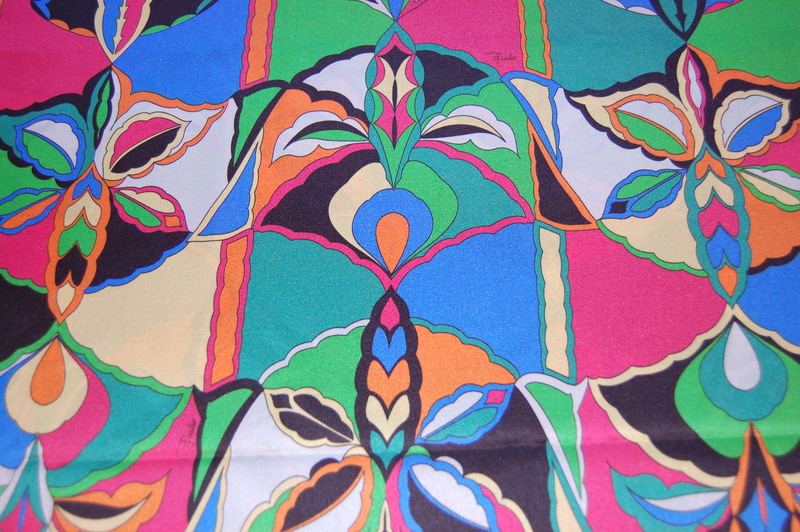 Beautiful print,great choice of pattern and jacket fabric.,looking forward to its very own post.. 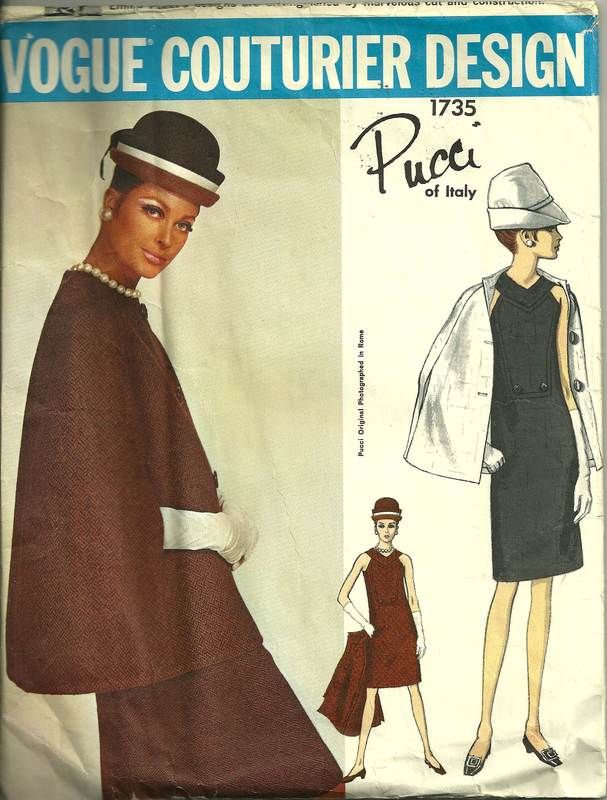 Thank you, Pamela – there is lots more to write about this sewing project! Wow that print is wonderful – as is your husband for his gentle encouragement. My husband has very good clothes sense, and I always appreciate his opinion! Could I ask how much you paid for it? More than normal silk prices? I really can’t remember what I paid for it, although I suspect it was in the area of $100 per yard. It is, however, of exceptional quality – and worth every penny I paid for it!